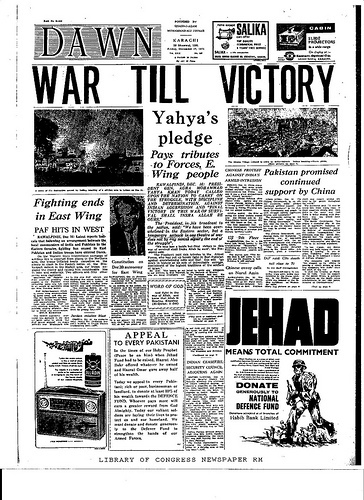 Why hasn’t Pakistan prosecuted 1971 war criminals? 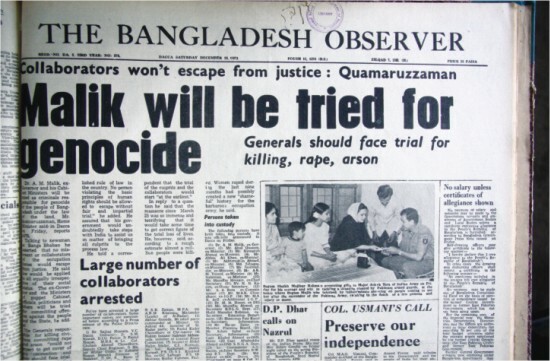 The execution of certain persons in Bangladesh for alleged war crimes during 1971 may be healing old wounds in that country, but it has once again opened them in Pakistan. The Foreign Office was even so bold as to issue a statement against the executions of Mr. Salahuddin Quader Chowdhury and Mr Ali Ahsan Mujahid, both of whom were tried and convicted of atrocities against innocent civilians during 1971. This week, the Foreign Office has gone a step further and denied any responsibility for what took place against the Bengalis during that fateful and tragic time. But let us set aside the war crimes tribunals in Bangladesh and ask another question: What happened to the war crimes tribunals that we promised? Interior Minister Chaudhry Nisar was on the subject of several jokes on social media yesterday after giving the statement that ‘no terrorist network is capable of operating in Pakistan’. It was an unfortunately stupid thing to say, especially so soon after the death of Punjab Home Minister Shuja Khanzada in a terrorist attack only a few days earlier. However, Chaudhry Nisar is not completely to blame for this verbal errancy. The same confusion has been projected from GHQ since the past year. 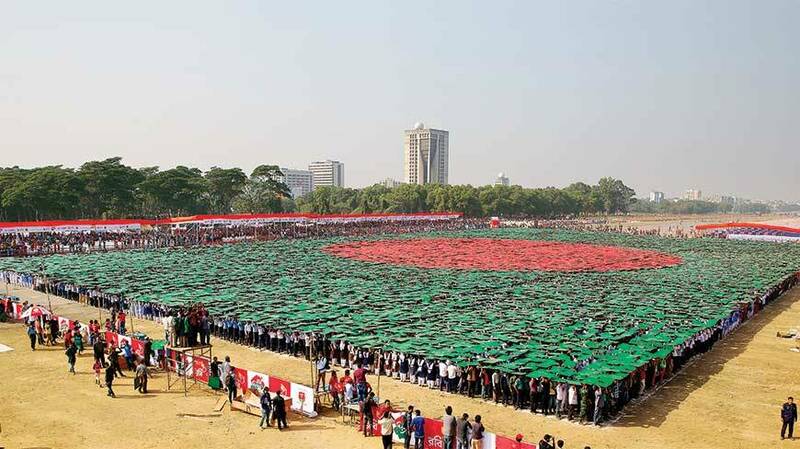 Bangladeshis set world records during 16th December celebration. The approach of 16th December fills me with unease every year. It’s one of those times when I try to avoid Facebook, Twitter, and the media in general. The level of insanity that is inevitably present makes me depressed, and let’s be honest – we don’t need extra reasons to be depressed these days. In recent years, there have been attempts to deal with the loss of East Pakistan by trying to re-write history so that the blame falls on America and Jews as well as the usual Indian bogey. This year, with the sentence of Abdul Quader Molla coinciding, I knew it was going to be particularly awful. And I was right.